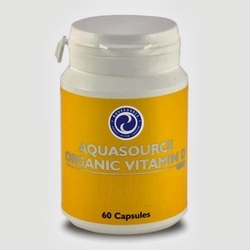 The basic concept of AquaSource’s weightloss product is getting our cells fed so as to provide us with a healthy sense of fullness without the extra calories and fats. Try this delicious product following the additional instructions in the Light or Max programme and enjoy the results! Besides immobility and genetics, a large role in being overweight is played by cellular hunger. That, which food provides as calories and that, which it contains, in reality are different things, especially when the quantity of food is decreased. A very beneficial component of the weight loss program can be a single protein beverage, which provides the necessary amounts of vitally important ingredients in a proper ratio of proteins and carbohydrates. The ideal combination for people on a weight regulation regime has to contain easily absorbable protein, the full gamut of amino acids, all vitamins and minerals; there have to be natural sweeteners and it must not contain any preservatives or artificial additives. 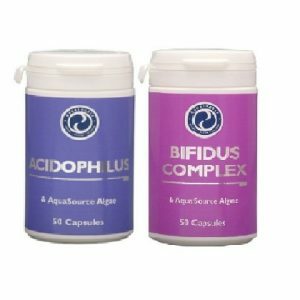 All of these things are taken into account during the development of the nutritious beverage Lighten-Up by AquaSource. Lighten-Up provides the intake of all the vitally important nutrients necessary during weight loss, offers a nutritional protein-carbohydrate balance, contains a wide spectrum of vitamins and minerals in carefully calculated quantities, combined with food nutrients. When we speak of a full spectrum of food nutrients, the inclusion of the Klamath Lake AFA algae in the formula is implied. 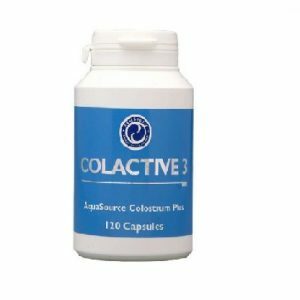 In one portion of the product is contained 1 gram AquaSource algae (equates to 2-3 capsules). It is absorbed excellently by the human organism and is a wholesome natural source of minerals, amino acids, enzymes, antioxidant, chlorophyll, beta-carotene, vitamins, etc. Even small amounts of AFA added to the usual menu have a very positive effect on health. People from all over the world regularly include it in their diets in order to provide themselves with that, which regular food does not. 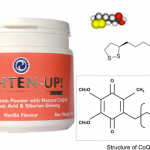 Alpha-lipoic acid (Vitamin N) – in its core represents an enzyme which plays a significant role in energy formation within the organism. It regulates lipoprotein and carbohydrate exchange and acts positively on liver function during poisoning. Since it is a water and oil soluble antioxidant, it completely safeguards the cell membrane from damage caused by free radicals. It finds application during atherosclerosis, ischaemic heart disease, cerebrovascular disease, during viral hepatitis, chronic hepatitis, cyrosis, diabetes polyneuritis, intoxication with heavy metals. CoenzymeQ10 – a basic component of every cell which provides energy for the normal flow of the metabolic processes and the proper functioning of the human organism. Gives energy for the proper functioning of the heart muscle, helps strengthen the immune system, and the easier overcoming of stressful situations. CoQ10 cooperates in regulating blood pressure and blood flow, and contributes to the neutralization of the harmful influence of the free radicals. 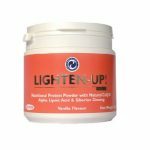 It also raises tonus and is therefore added to the new Lighten-Up formula, beneficial to everyone over the age of 35, and people with high blood pressure and diabetes. Chromium – a micromineral vital for the production of the insulin hormone in the human body. Chromium is included for the purpose of enhancing and raising muscle mass as well as the burning of fats. When taken in sufficient amounts, it raises anabolic effect of insulin by significantly raising the speed of glucose absorption. Besides that, chromium significantly lowers the cholesterol in blood and lowers the risk of atherosclerosis (hardening of the blood vessels caused by cholesterol). It enhances the process of fat burning and is important for the normal metabolism of carbohydrates, proteins, and fats. According to recent research, chromium even lowers the appetite towards sugar foods and slows down the aging process. Organic quinoa – an annual plant with wide leaves. At a first glance its seeds look like the seeds of wheat or cuscus, but are an incredibly more wholesome food than them. Grown on the slopes of the Andes, where they also call it small rice, the plant has been cultivated by the Incas, and for over millennia has been present in their daily menu. The seeds of the organic quinoa are rich with proteins. Besides pure protein, these tiny seeds contain all the 8 essential amino acids, as well as carbohydrates, fats, some vitamins, minerals, iron, calcium and magnesium. Besides the proteins, the seeds are a valuable source of starch, sugars, minerals, vitamins and vegetable fibres. This is why dietologists value this food so much and recommend it to patients with digestive problems, small children, and pregnant women. Quinoa is an excellent choice for part of the weight loss diet. Organic almonds – rich on fats, proteins, iron, calcium and vitamins from the E and B groups. For years, it has been considered the food which brings about weight, however research shows that people who include it in their daily menu, lower weight. Even though they are rich on fats and are caloric, the protein and fiber content helps a person feel fed for a longer time. Because of this, their moderate consummation during the diet helps weight loss. On top of that, taken as part of a low saturated fat diet, almonds contribute to the good health of the heart by sustaining low cholesterol levels. Siberian ginseng – has an overall strengthening, toning effect, activating the mental and physical working capacity, raises potency, normalizes immunity, raises the organism's unspecific resistance and its resistance towards the unfavorable factors in the environment. It is a selected herb from the group of adaptogens, with soft and sure effect and expression of adaptogenic properties, combined with powerful natural support for activating the innate regenerative and self-replenishing powers of the organism. Siberian ginseng is very appropriate for use during menopause, when the female frequently changes moods and expresses signs of over-sensitivity. Regardless of the specific problem, it brings in powerful natural support and is in the base of recuperating the disturbed vital functions. It is especially valuable for easy adaptation to different changes in the conditions of life, critical periods, psychical and physical pressures. Because of its anti-stress effect it is included in every weight regulating regime. L-carnitine – its main purpose is to protect the fats from preliminary expenditure and to preserve them for usage during physical exercise, in this way guarding the organism from compulsory expenditure of its protein reserves in order to gain energy. It carries out a few important functions, related to reducing fats, one of which is the especially important insulin transportation to the mitochondria of the muscles, where it burns as fuel and produces anabolic effect. L-carnitine also inhibits the organism’s natural tendency to send additional insulin to the fatty cells and does not allow insulin to be precipitated in the form of fatty tissue. Enzymes – important for digestion, their role here is to ensure the easy assimilation and absorption of the important food nutrients. Glucomannan – 100% natural dietary cellulose, which does not bring in any calories in the organism, since it is not absorbed. The reasons to include glucomannan in the food most often is for the purpose of causing a feeling of fullness. This is necessary in diets poor in fiber foods. The second important reason for taking glucomannan is enhancing the absorption of grounded foods. This is also the reason for its inclusion in the contents of the new generation health foods. The lack of cellulose in the daily menu contributes for the development of illnesses in the digestive tract, such as for example colorectal cancer. Cellulose improves the movement and cleansing of the intestines. Glucomannan connects cholesterol and extracts it from the body before it reaches the blood. In the stomach, glucomannan increases its volume, as a result giving a sense of fullness, and lowers the desire to consume food. Contents: organic almonds, organic quinoa, organic apple powder, AFA algae from Klamath Lake – powder, vanilla aroma, Siberian ginseng, glucomannan, seed wrapper from Indian plantago – powder, special combination of vitamins and minerals (Vitamin C, Vitamin E, calcium carbonate, potassium gluconate, pantothenic acid, magnesium oxide, zinc gluconate, niacin, manganese gluconate, iron fumarate, choline bitartrate, Vitamin B6, thiamine, citrus bioflavonoids, inositol, Vitamin A, riboflavin, chromium saccharomyces, Vitamin D2, folic acid, potassium iodide, biotin, sodium molybdate, Vitamin B12, xantium gum, protease, lactase, L-carnitine, L-tartrate, amilasis, alpha-lipoic acid, natural Q10. 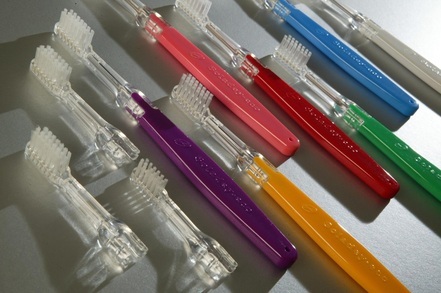 Usage: Lighten-Up can be made with juice, water, or yogurt. When it is made with yogurt, fruits can be added. It substitutes one meal per day, with minimum calories providing all the necessary for the cells elements and protects from cellular hunger.